Thinking is the problem. We have this thought and We think it’s from ‘out there’ (i.e. not in Our mind, or as Our mind, as consciousness) and therefore, We accept it as being real, when it is only a figment of Our imagination, including everything that’s happened in Japan. And so the thinking makes it real: i.e. there is nothing good or bad but THINKING MAKES IT. So? What shall We choose? Our thinking, or the Reality of God which has only Good for All of Us? As the realm of ‘good or bad’ the dream, THINKING is Creator rather than Real God. And so THINKING becomes Our God, and We listen to it implicitly, trusting all Our thoughts with the trust that should, instead, be given to the Holy Spirit Who waits patiently to free Us from the prison of Our own making. How is this prison built but by thought on top of thought, added to more thought, until Reality is totally obscured. This is separation, and it’s all there is to it. There is no drama along with it, nor to the undoing. You do not to have to take each thought that built the dream as if it were a wall of bricks, taken down, one by one. No, simply be willing to disregard Your thinking, starting now. Keep Your mind open to Me and the prison house You’ve built will be dismantled as You remain steadfast against the thinking, which shows up as fears, desires, and opinions, none of which are worth Your time or Your attention. Getting out of the house – from Your dream – is accomplished by the end of thinking. Fear not that You will be a zombie! Far from it. Your mind, once emptied of its trash, will then be like an unblocked pipe through which the Truth – Reality – may flow freely, joyous, and eternally. Hello! I have been happy to connect with you all through Twitter (@ecoursemiracles and @CorinneZupko) and through Facebook as well. I absolutely LOVE the Original Edition. I’m a long time student of the Course, and the Original edition has added so much to my understanding and practice of the Course. So I thank you so much for the work that you do! 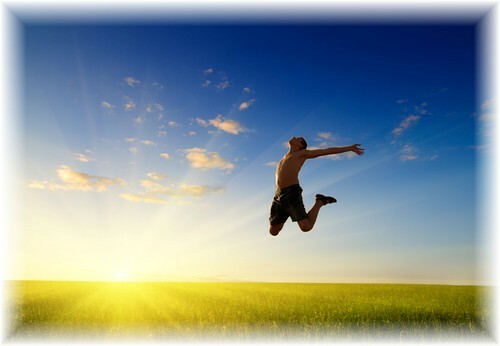 I am currently adding a “Course in Miracles” tab to my website (www.innerbalanceliving.com) and am writing a description of it to appear there. I would love to include a picture of the Course cover, and I was wondering if I could use the image of it that you have on your website? I would link that image to your site, and could also write a caption indicating that it is the CIMS Original Edition. Please let me know your thoughts either way. Corinne Zupko, Ed.S., M.A., C.P.C. Helping you find more peace in your life. Listen, and try to think if you remember what we will speak of now. Listen. Let Us go together, beyond trying. Let Us, together, slow down the ego mind in its frantic efforts to secure its safety – and remember, its safety is not Yours. Yours is your Love, the experience spoken of here, that is so beautiful and so very far beyond the ego’s ken of selfishness as saviour. If You have yet to realize this, let Us take some moments – truly some Holy Instants – to think of it now together. What am I asking You to remember but an eternal state of Freedom that has always been Yours, and always will be. And yet this Freedom is not found in doing as You please, exercising Your ‘rights’ and trampling Others. Nothing could be further from the Truth than that. Yet that is how the ego operates: its only goal is me, me, me. Those are the lyrics and the metre of its song. That selfishness is not the song We’re listening for. So, again, I ask You: Clear Your mind of the incessant ego wants and fears, its ceaseless demanding of its dominance. Just lay them gently to the side. It will be easy enough to pick them up again, if You so desire. And always it is My intention to free You from Your self-imposed imprisonment. And now, together, You and I, We will: Listen, not so much for words at first, but rather for a feeling, a sense that all is Peace, a Peace that passes all the understanding of the dream in which You are busily immersed. And as You listen for that Peace — perhaps you catch a hint of an ancient state not quite forgotten; not so much forgotten, but ignored and, therefore, so unused that You had completely forgotten Its existence. It is dim, perhaps, and yet not altogether unfamiliar, – since Its Harmony is the nature of Your Be-ing, and yet It is – like a song whose name is long forgotten, and the circumstances in which you heard completely unremembered. And why is this? You had to hide It from Yourself or the dream could never have been invented. And now, and always, is the moment to think of It again. So together We are remembering It and speaking of Its Beauty and Its Happiness with Joy. Not the whole song has stayed with you, – or You would be long ago Awake – there is but just a little wisp of melody, – like the fragrance of a rose inhaled long ago. It is attached not to a person or a place or anything particular. But It is enough to make You pause and smile as you remember, from just this little part, just this precious suggestion of its notes, how lovely was the song – Its Beauty so breathtaking that the Joy is breaking through Your long shut heart – and although You cannot quite see it yet, the Place of Mind, of Love, where it exists, that You can now faintly feel, brings to consciousness how wonderful the setting where you heard it, and how you loved those who were there and listened with you. It is the Love You’re feeling now, calling to You to recognize Its Presence here and now. As I’ve said before to You: Somewhere You remember Who and What You Are, although the ego has imprisoned this joyous memory behind so many lifetimes of purposeless self will, meaningless getting, with giving short-shifted. And so, this little remainder, which has shown itself in a longing to Love and be Loved like that again, has been all You had left of Something so dear You would weep if You let Yourself realize just What a Treasure You have hidden from Yourself. And thanks to a shred of Your Sanity, (the Whole of which is kept safe and intact by the Love of the Holy Spirit, Your True Self), and although it seems that The notes are nothing by themselves for You know not how to bring the Song to mind, they are important to You. Yet you have kept them with you, not for themselves, but as a soft reminder of what would make you weep if you remembered how dear it was to you. And weep You do, silently and tearlessly, for the happiness and Love that You so carelessly cast away. The weeping does not come in tears, but shows itself as sickness, sin and death, the concomitants of the seeming endless dreams in which You insistently cling to as if they were Reality Itself. You know they’re not. Somewhere within You know that You are really Life and Love and Good. And that is what You are that is so dear to You, and so it never can be lost. It is Your Oneness known as God, Our Source, which – far above all else – is known as Love. It is the experience of Be-ing Love Itself, a You so beautiful and cherished and essential to All Creation that It is beyond description and only can be known when felt as Consciousness. Once You allow Yourself to feel It in the dream, Awakening becomes necessity. You could remember, yet you are afraid, believing you would lose the world you learned since then. The world You taught Yourself, for never did Our Father-Mother Source of Love bring forth a world so loveless, dark and painful for so many. God’s Universe is bright with Love expressed as His Ideas of Light of which You are the most important One, along with every other One. We All are precious to the Love that makes Us. And each One of Us is precious to All of Us. Do You remember what it’s like to be loved like that? Somewhere You do. And so You struggle to somehow feel that Love within the dream world You have made. And yet you know that nothing in the world you learned is half so dear as this. And so You age, You sicken, and You die – You the Eternal, perfect Son of God – consumed by buried disappointment that nothing turned out the way You thought it would when it seemed like such a clever idea to turn Your back on God to go it on Your own. And now the path that leads back Home is long grown over, and the ego gives its assurance that never would the Father take You back after such a big transgression. And none of it is True, not one word, for the Father’s Name and Nature both are Love. And what is True of Him is also True of You. So come and stay close by Me, take My hand; and as We walk Together through Your day: Listen, – and what is Listening to Me but the silencing of incessant thinking, the quieting of the ego’s chattering voice so You can better hear the beauty of the music and the words of Love. Again, let Us together Listen and see if you remember an ancient song you knew so long ago, and held more dear than any melody you taught yourself to cherish since. Beyond the body, beyond the sun and stars, past everything you see and yet somehow familiar, is an arc of golden light that stretches as you look into a great and shining circle. All of this Happiness stands waiting joyously for Your return. And ‘re-turn’ it literally is. You’d turned Your back on Love and Life, oh so long ago. And now Your willingness to turn again and face Heaven instead of hell brings Us All great joy. And all the circle fills with light before your eyes. What is this Light with which the circle fills but the Fullness of Reality. Infinite Ideas of God, All of Us exquisite Light, gentle Love, vibrant Life. Ideas come streaming from everywhere to witness and support Your glad re-turn. Can You see how very simple it is? The shifting of direction from ‘Me’ to ‘We’ – all the loving Ideas that You had shut out when choosing for the ego dream. We’ve longed for All of You Who dream to remember All the Rest of You again. And now the importance of forgiveness comes front and center, for when Your Brother or Your Sister is forgiven for what They didn’t do, so do You see forgiveness radiate to You. The edges of the circle disappear, and what is in it is no longer contained at all. The light expands and covers everything, extending to infinity forever shining, and with no break or limit anywhere. You understand that never did You sin, only Good is True. Within it everything is joined in perfect continuity. Nor is it possible to imagine that anything could be outside, for there is nowhere that this light is not. … Not only are You loved beyond all present understanding, but also You are intrinsic to that Love, which needs You to be complete. And now the blind can see, – opened are Your eyes – for that same song they (You) sing in honor of their Creator gives praise to them as well. Opened You are as the words and the feelings of Love spill forth, breathing, remembering Joy once again. Vision has cleared and the Beauty of You opens your eyes even wider. The blindness which they (You) made will not withstand the memory of this song. And they (You) will look upon the vision of the Son of God, remembering who he is – and Who You are – that You and they sing of. And You are that Love. You had forgotten what it felt like, to Be Love; that it isn’t something lost that must be somehow found, You knew not where and searched for It in the most unlikely places. And now You know that It is What You Are. What is a miracle but this remembering? And who is there in whom this memory lies not? And with the memory comes the realization, illumining Your mind: I am that Love that I was looking for everywhere but here. The light in one – the Love You Are – awakens it in all. You see It everywhere. And when you see it in each other, you ARE remembering for everyone. Reach out and take Your Brother’s hand, and as You do, the Father reaches out, embracing You. Question: I know that, as a spiritual person, I’m not supposed to be into things but the Course says that the Holy Spirit knows that I need things while I am here just to survive until I learn to go beyond this level of existence. Things are really tight for me right now and it’s becoming a big distraction to my spiritual progress. Any ideas? Answer: Have you ever heard about “The Higher Shopping Service“? Jesus says he’ll help find the things he knows we need – along with “a reasonable amount of whims”, as well (his words, not mine) – AT THE PRICE THAT WE CAN AFFORD so that a) he can prove to us that he exists and hasn’t left us (as he promised), and b) to save us time dealing with the worry and frustrations so we can spend more time in doing what we’re here to learn to do (just extend the love of God to each other :-). Using THSS always results in a win-win outcome, miraculously. Using it proves to us that we’re not alone and we’re being heard and cared for. And eventually, it makes us feel so safe and secure that very little can shake our peace, distracting us from loving life. And each other. – the higher whatever-you-need-in-the-moment service. Loving you, sweet child of God. You are beloved! I think that the course tells us to meditate. It never really demands that we do anything in a particular way, but I think that Jesus hints over and over that it might be a good idea to pick up a meditation practice. If you look at most of the lessons, the suggested practice involves completely clearing the mind and being still. That is exactly what meditation is. I mention this because my meditation practice has become a foundation in my life. I would say that I am addicted to it. The word “addiction” beings up some negative connotations but I think it’s the best addiction I could have. I started over two years ago and had a lot of trouble getting what it was all about at first. I questioned everything I was doing; the time of day, sitting position, the amount and types of thoughts, whether I was going “deep” enough or not. After a while I relaxed and settled into the practice I do now which is 30 minutes, first thing in the morning, and another 30 minutes some other time during the day, usually always before dinner. I sit in whatever position is comfortable. I am not very physically flexible so I don’t sit in any of the graceful, cross-legged positions. I sit how I would sit in any chair any other time. I close my eyes and let the game begin. That game is seeing how long I can go in between thoughts. The ultimate goal of the game is not to have a single thought the entire time. I tend to go 5 seconds to 10 minutes without having a thought it seems and then I will catch myself thinking about things from the most mundane to the most bizarre. And that is all there is to it. At first I had to force myself to stick to this practice and now I literally refuse to miss a session. One thing that encouraged me in the beginning was the idea that every time you meditate, you get a little better, become a little more whole, and become a little closer to knowing God. The reason I stick to this practice so rigidly is because missing a session causes me great discomfort. This might seem scary but I assure that it is truly a good thing. When the benefits are weighed in, this practice is worth every second to me. I consider it the most important part of the day. We are awake for 16 hours a day. Would you sacrifice one of those hours if the other 15 would be vastly more enjoyable? I have experienced many changes since starting. I feel lighter, happier; like things roll off of my back more. I feel like I want healthier things, and that unhealthy things cause me more discomfort. I am more able to be in the moment. I feel settled, grounded, at peace. I stopped eating meat, drink much less caffeine, will rarely touch alcohol now. I could go on and on but this has to be experienced to know. What I do want to emphasize is that if you take up any practice in your life, I feel that meditation is the most worthwhile. When I sit down to practice now, I literally feel like stress is evaporating out of my head. It feels like the tension is rising out like steam. It is my favorite feeling in the world. I call it my brain healing. We abuse our brain and body with our ego thoughts all day and it needs a way to release the resulting tension. I think this is achieved in meditation. It is a way to tap into our source and re-center us in the moment with God. I think everyone needs that time every day and that is why I think the daily lessons in A Course in Miracles each have a meditation. I think Jesus is training us to meditate with the addition of the most beautiful and profound thoughts that have ever been written. all the ideas of which it is ashamed. you ever learned before from anything. with wholly empty hands unto your God. *Daniel Tipton resides in Omaha, NE and is a member of the Course in Miracles Society [CIMS]. He has recently entered the ACIM Ministerial Program offered by the Community Miracles Center and in February 2011 attended the Annual ACIM Conference sponsored by CMC and CIMS among many other ACIM organizations. Felt, but unseen glance of God’s benevolent love. And thanks for their short span of glory. The icy grip of self-concern. A blaze of night light mystery. Of His constantly unfolding blessings. * Marc R. Boulais is a serious student of Life who is committed to learning, living and practicing universal life truths. Having been raised Roman Catholic, it is clear that his short story “Deep Waters” includes imagery and references that reflect his strong Christian background. But Marc is also a student of other disciplines. He studies A Course in Miracles, the works of Joseph Campbell, the teachings of native American Indian Fools Crow, as well as the poetic writings of Rumi and Lao-Tzu, to name a few. According to Marc, all spokes of the wheel lead to the center and that center is God. By far the most popular of the humiliating nicknames I endured in junior high (Susan of Arc, Susan of Troy, etc.) was “Crusader Rabbit;” in honor of the TV cartoon character of the same name whose efforts to save the day from his nemesis Dudley Nightshade in constant reruns enthralled my brother Michael and I when we were little. Like Crusader Rabbit, I seemed to have come in with a keen eye for folly and an insatiable appetite for justice that belied mild-mannered first impressions. I spent my childhood taking on neighborhood bullies and rescuing injured birds and animals. In fifth grade I organized our class to remotely “adopt” a Korean child. By junior high, I attempted to launch Civil Rights and Vietnam War protests within a community then referred to as Nixon’s “Silent Majority” for reasons that defied logic given the frequency and volume of their opinions. Although I theoretically had access to persuasion through my role as student council president and newspaper editor I had yet to learn that no amount of cajoling, educating, or bargaining could necessarily convince someone to change his mind. And I did not yet understand that morality in this world exists only in the eye of the beholder. I spent another two decades seeking and never really finding justice in one way or another–through political activism, volunteering, and the written word–an exhausting and ultimately isolating experience. I couldn’t figure out why people of my generation—even some of my friends–did not share the same perception of the world’s troubles let alone solutions I did. More importantly, I didn’t comprehend why nothing I worked for ever seemed to make a lasting difference, or why even when participating in groups in which members shared a common mission conflict and divisiveness reigned. It wasn’t until I found A Course in Miracles 7 years ago that I began to realize I had been looking for justice where it can never be found, but with a little willingness to admit it wasn’t working could begin to seek and find a better way. And yet, here I am again this morning bemoaning injustice; contemplating, for instance, the many ways in which lives appear to be randomly plucked from this world for no apparent reason. And wondering again how to answer the question of why when it comes to the subject of physical and emotional suffering. Culminating in death as it inevitably does for every embodied one of us who first get to witness its seeming brutality in those we love and finally confront for ourselves. I suppose I found myself once more seduced into believing the ego’s world could offer any sane answers based, as it is, on the insane idea of fragmenting invulnerable, perfect wholeness. The “tiny mad idea” A Course in Miracles tells us the one child of God took seriously at the very beginning thereby seemingly fracturing invulnerable oneness and propelling itself into an entire hallucinated universe of forms competing for their very survival. Programmed to sooner or later self-destruct to prove they existed at God’s expense in the first place but completely unconscious of that original belief. I mean, really? And yet, in grappling with the sudden death of a healthy, young person close to someone I love this past week, struggling to console the seemingly inconsolable; I discovered anew just how invested I still am in what A Course in Miracles refers to as “the hierarchy of illusions.” The idea we share that some problems are greater or lesser than others. That the injustice of someone cutting in line at the supermarket or on the highway for example pales before the injustice of a terrorist attack; the death of an elderly person in his sleep after a long, full life somehow makes more sense than the loss of an innocent child or an admired, generous person in the prime of her life. Within the ego thought system, of course, such logic holds, along with the belief that God works in mysterious ways and has his own reasons for calling us home. But the ego’s God–like the thought system that engendered it—is; how to put this nicely: seriously disturbed. Unconsciously informed by and invested in it as we are, the only solution–regardless how trivial or conversely painful, unfair, and catastrophic the problem appears—remains calling on the sane part of our mind for help. Actively engaging the memory of eternal, perfect, all-inclusive safety and wholeness that followed us into the dream and patiently awaits our call to heal our mind in every circumstance. And there’s the rub, from the ego’s point of view. What happens if we begin to depend on the part of our mind that sees beyond all illusory problems to the same old story of separation taken seriously at the beginning and offers us the same deeply comforting answer: it never happened; we remain awake in God dreaming of exile? Our blind and deaf allegiance to and belief in the ego eventually weakens while its frightening story that always ends the same heart-breaking way disappears into the ether from which it sprang. Note to self: Crusader Rabbit needs to retire. He will never vanquish Dudley Nightshade. But the child within all of us that screams out for justice in the perceived face of this world’s bitter ways can find true, enduring, inalterable solace where it always resides. Patiently waiting in our one mind, providing healing instants of relief and release each time the injustice of the ego thought system in all its guises rears its ugly head and we remember to ask for help in seeing truly. We will be in pain until our confusion about where all seeming problems lie is healed. Then we will awaken to find ourselves eternally united within the perfect Love we never really left; fused with an infinitely living and loving God that is, thank God, oblivious to our silly dream of individualized, finite banishment. When we look with the part of our mind that can truly see all problems reveal themselves for the ravings of a terrified mind tortured by guilt over a crime that never occurred. In gently accepting the certainty of shared innocence and protection the Holy Spirit offers for ourselves, we can confidently comfort others. Without speaking one word about this Course, allowing words filled with compassion for the injustice of the condition those of us in bodies all find ourselves in to simply flow from our forever indivisible heart. Internally resolved to awaken through forgiveness by changing our inner teacher again and again until all lingering guilt over the thought of separation dissolves and we open our eyes together on our true, invulnerable nature. 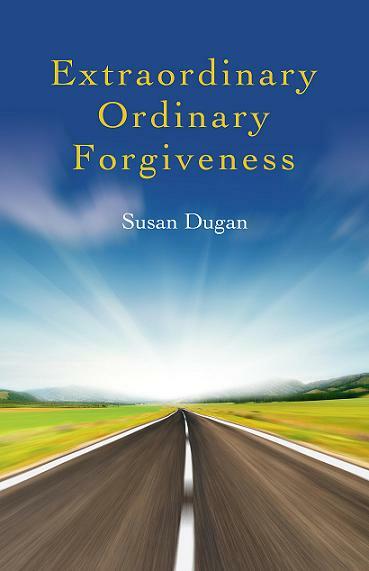 *Susan Dugan is an A Course in Miracles student, teacher, and writer. She posts weekly about practicing ACIM’s extraordinary forgiveness in an ordinary life at www.foraysinforgiveness.com. A collection of her forgiveness essays, Extraordinary Ordinary Forgiveness is being published March 25, 20011 by O-Books and is available at amazon.com. Pre-order here.